Chenopodium album (fat hen) is an erect, bushy, branched annual to 1m, mealy-white all over, especially on the flowers and underside of the leaves. Flowers both spring and autumn. Found in summer in irrigated row crops and wasteland. A very common weed of horticulture. Native to Europe. Leaves – raw or cooked. A very acceptable spinach substitute, the taste is a little bland but this can be improved by adding a few stronger-flavoured leaves. One report says that, when eaten with beans, the leaves will act as a carminative to prevent wind and bloating. The leaves are generally very nutritious but very large quantities can disturb the nervous system and cause gastric pain. The leaves contain about 3.9% protein, 0.76% fat, 8.93% carbohydrate, 3% ash. A zero moisture basis analysis is also available. Edible seed – dried and ground into a meal and eaten raw or baked into a bread. The seed can also be sprouted and added to salads. The seed is very fiddly to harvest and use due to its small size. Although it is rather small, we have found the seed very easy to harvest and simple enough to utilize. The seed should be soaked in water overnight and thoroughly rinsed before being used in order to remove any saponins. The seed contains about 49% carbohydrate, 16% protein, 7% ash, 5.88% ash. Young inflorescences – cooked. A tasty broccoli substitute. A green dye is obtained from the young shoots. The crushed fresh roots are a mild soap substitute. Fat Hen can compete vigorously with seedlings and establishing crops. Infestations may be very dense and can severely reduce harvest quantities. Several generations may occur in one season due to the plant’s quick growth and seed production abilities. A common weed of cultivated ground, especially on rich soils and old manure heaps. 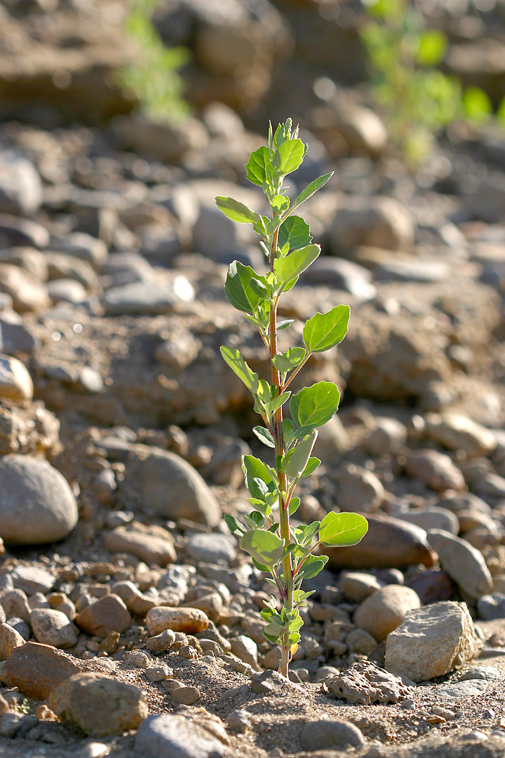 It is often one of the first weeds to appear on newly cultivated soils. This entry was posted in Bundanon, Cultural diversity, Recipe, Remedy, User Info. Bookmark the permalink.